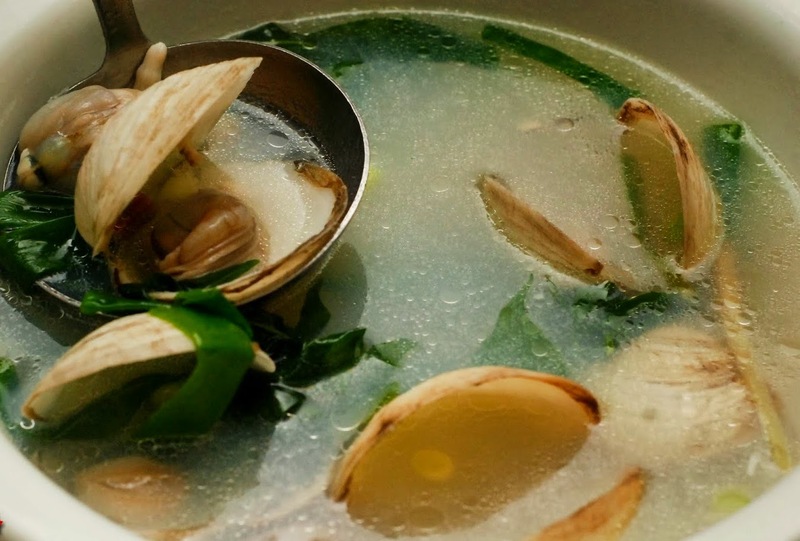 Sinabawang Halaan is an authentic Filipino soup dish that can surely captivate your taste, a perfect dish for this rainy season. I personally consider this the ultimate breastfeeding dish! Clams are a great source of iron and protein. In buying clams make sure that you choose those still closed, they are fresh and still alive. 1. Wash clams and set aside. In a deep pot over medium heat, saute garlic in oil until golden brown. 2. Add ginger and onion and stir for a minute. Add fish sauce1 clams and water. 3. Cover and bring to a boil. Reduce heat to medium low. Clams are cooked when its shells open up. 4. Correct seasonings to taste. Turn off heat and add the spinach. Cover pot for a minute.